This outfit really makes us wonder. 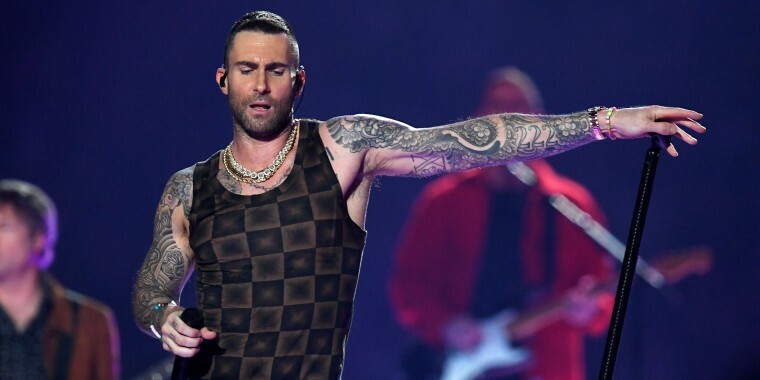 Maroon 5 singer Adam Levine's shirtless performance during halftime at Sunday's Super Bowl LIII earned plenty of attention, but fans also had something to say about the shirt he was wearing before that. Basically, it reminded them of a certain retro furniture print. As many people pointed out, "The Voice" coach's singlet had a distinctive yet familiar pattern — one they recognized from their own home decor. And that was when the social media posts started going up. And it's not just pillows and chairs — the pattern also appeared on folks' curtains. Well, you can't say Levine isn't trendy. Maybe he got wind of the comparisons mid-show, and that's why he decided to ditch the singlet? So far, Levine hasn't commented publicly on the comparisons. But we're reasonably sure he won't be wearing this particular shirt again!